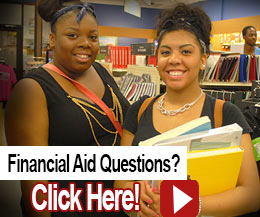 Financial Aid for Summer - Students who are eligible for Federal Pell Grants have been awarded Federal Pell Grant funds for the 2019 summer semester. Students are encouraged to meet with their advisor to plan their summer schedule. If you are eligible, your financial aid awards in the MyCF student portal have been updated with summer Pell Grant funds based on full-time enrollment in fundable course work. If your summer course load is less than full-time, your Pell Grant award will be adjusted to match your actual enrollment level. Please note: if you attended full-time in fall and spring you must enroll in a minimum of 6 fundable credit hours in the summer to receive the additional Pell Grant. Students who want to request a Federal student loan for the 2019 summer semester should submit a loan request form to the CF Financial Aid Office.